This is a native app. My role was A contract UX Designer and UI Designer. I entered Comcast after the business goals were outlined and the application idea was in its infancy. Comcast knew what they wanted to accomplish but didn’t know how to get there. That is where I came in. I conducted worker and customer interviews. I also did some clickable prototyping for field studies. I created the visual language and material design. This is a native app. What problem needed to be solved or what was the business goal? 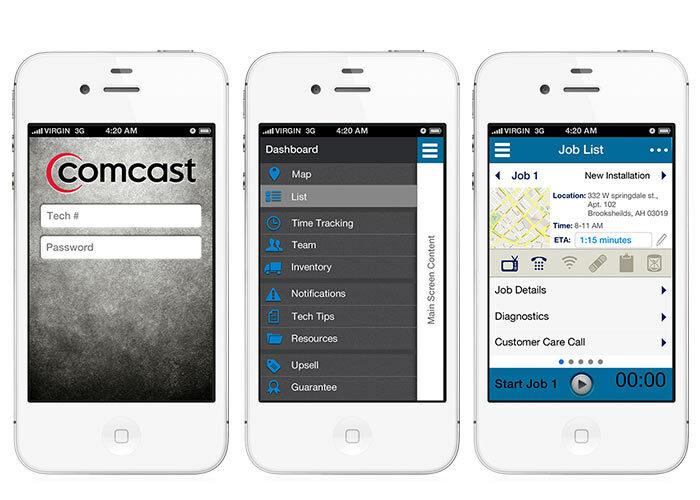 Comcast wanted to build an app for the field service workers. 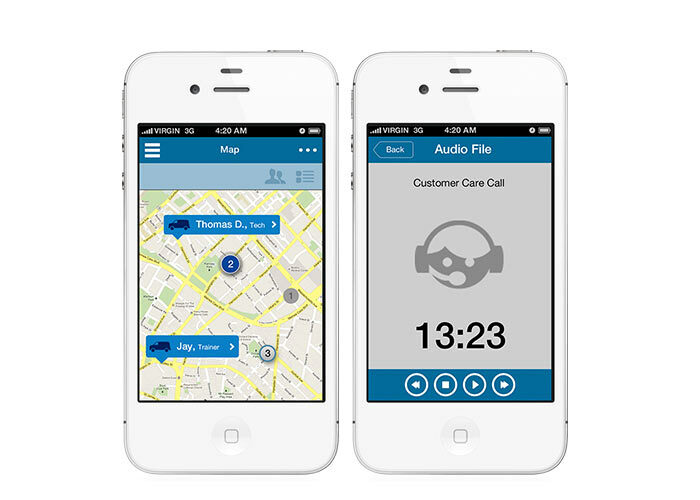 The app was to track their location so customers could have an expectancy of arrival for an install or repair. 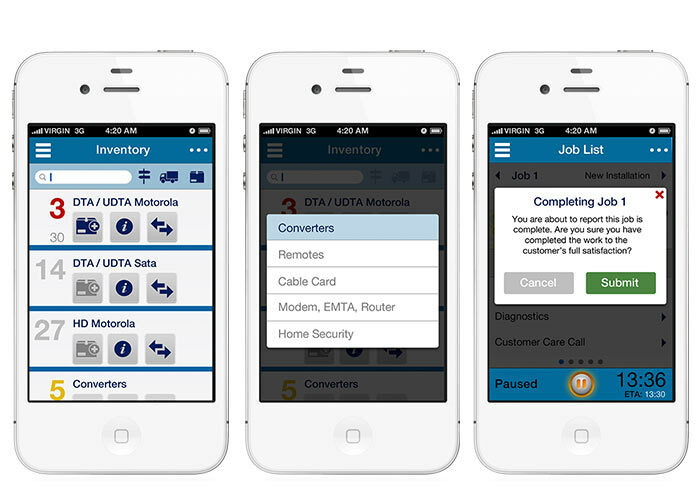 The app tracked jobs, inventory, Produced a list of needed items for the job and checked to see if the service worker had the necessary inventory to do the jobs for the day. If not the app ordered the inventory from the warehouse for pick up and notified the worker. 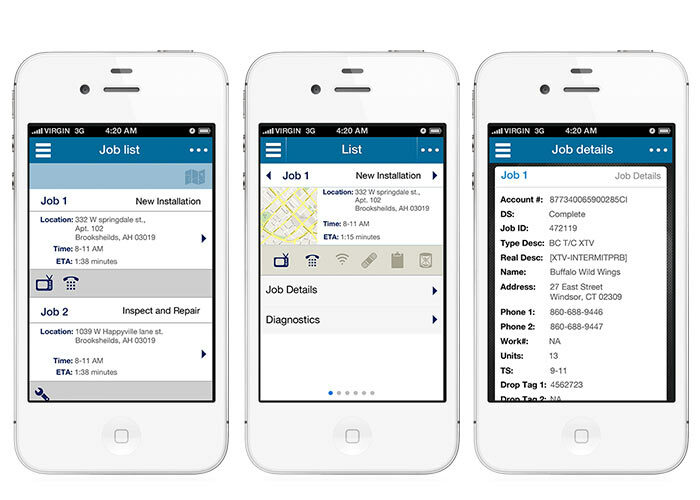 The app tracked what type of job it was. Provided location and ETA. of the job. The app also gave workers resources on how to do a particular job. Resources were installation videos and docs provided by the company and co-workers. The app also tracked time on the job and listed coworkers. The app also tracked and let you see co-workers that are working in your area. I shadowed workers on the job during their routes and asked questions and took notes on what they thought was helpful or what would make their job easier. One thing that came out of that was automatic inventory tracking. If the workers logged what they used per job the app would keep the service truck stocked for the next job or weeks worth of jobs. Customer satisfaction is important to Comcast so I introduced a way for the system to notify customers of when the service worker would be at their house for the job. The current window for arriving would be anywhere from 2-6 hours. When a service company is scheduled to be at your house to work on something if you know a more exact time of arrival you can plan your day accordingly. Some people can not afford to take a half day off work. The result was an incline in positive customer service. Better inventory tracking. and less inventory waste and overstocking.